Composed by Pauline Hall. Piano Time. 40 pages. Oxford University Press #9780193727366. Published by Oxford University Press (OU.9780193727366). ISBN 9780193727366. 12 x 9 inches. 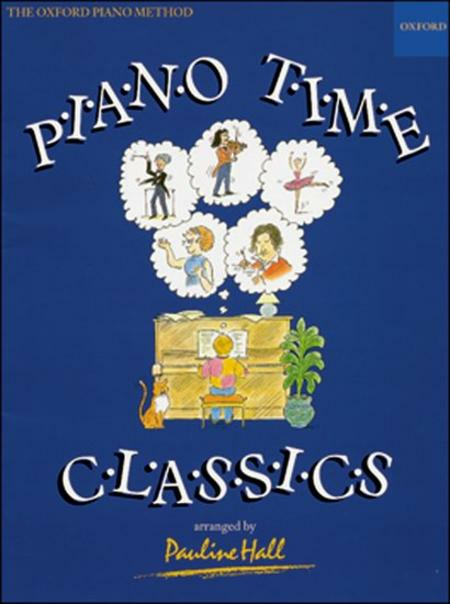 40 really easy arrangements of popular classical tunes graded in order of increasing difficulty. Children (and adults!) will enjoy learning them as a welcome break from slogging away at all those exam pieces. Great melodies, very known ideal for kids approaching to classic music.